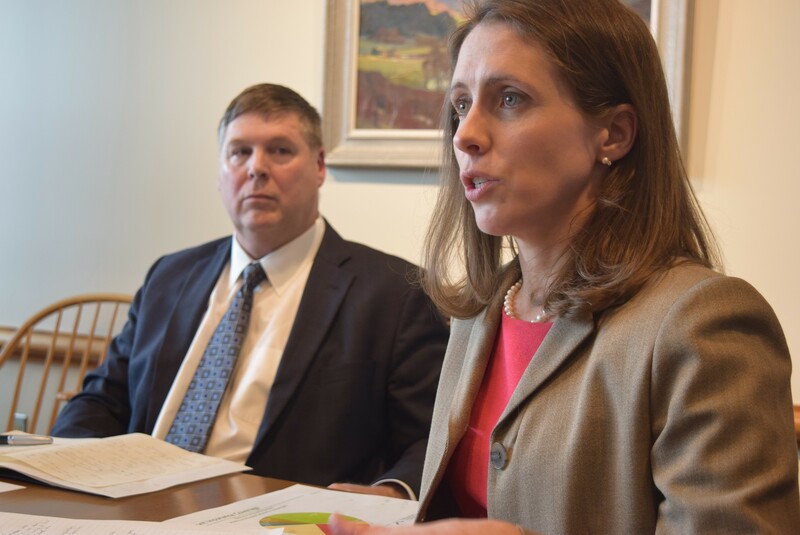 Mary Kate Mohlman, state director of health care reform, and Al Gobeille, secretary of the Agency of Human Services, talk to reporters Friday. If Congress’ plan to replace the Affordable Care Act goes through as proposed, Vermont would lose just shy of $200 million a year in federal Medicaid funding starting in 2020, state leaders said Friday. The Republican House majority’s proposal passed two key committees in Washington on Thursday and could reach the House floor by the end of March, according to news reports. The plan would replace federal insurance subsidies with individual tax credits and grants. President Donald Trump has endorsed the plan. Congress’ plan, as written, would hurt not just Vermont Medicaid recipients, he said. Some Vermonters would opt to go uninsured. Low-income Vermonters would pay a higher share of their income for health insurance. But those making up to $75,000 would be eligible for new tax credits. A 27-year-old Vermonter making $25,000 a year is eligible for $4,534 in subsidies now, which brings the cost of coverage to $2,995 a year, according to Mary Kate Mohlman, the state’s director of health care reform. Under Congress’ plan, that person's cost would jump to $5,529, she said. “People won’t buy insurance,” Gobeille said. Congress’ plan would remove penalties now in place for those who do not have health care coverage. Gobeille said that if the plan were to pass as written, there’s no way to say now what Vermont would do to make up for the $200 million. “We can’t tell you what we would do, but we can tell you that would be hard,” he said. 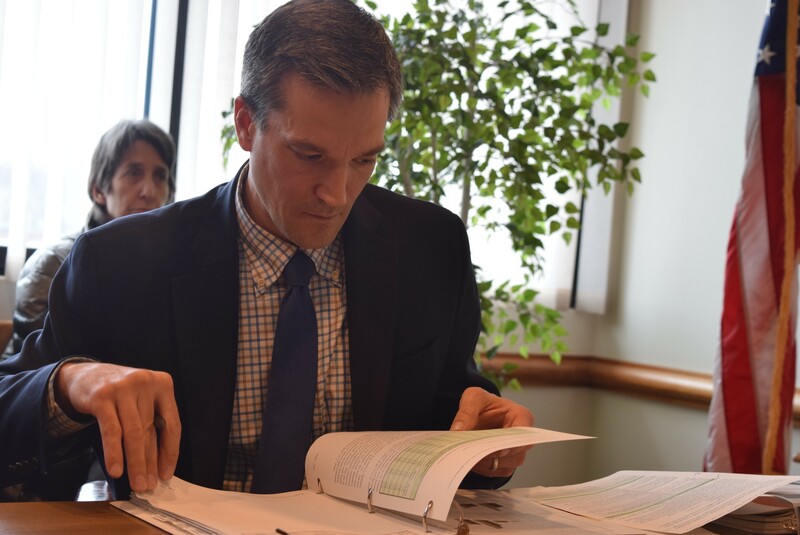 “Tough choices would have to be made,” said Cory Gustafson, commissioner of the state Department of Vermont Health Access. Among the possibilities: reducing Medicaid benefits and lowering rates paid to providers. Mike Fisher, chief health care advocate for Vermont Legal Aid, listened to Gobeille’s presentation and has studied the proposed legislation himself. He said he agrees with the dire assessment.